Lighting Today (LT) is an architectural lighting trade magazine that targets professionals in the lighting industry, including manufacturers, suppliers, designers, architects, specifiers and many more. 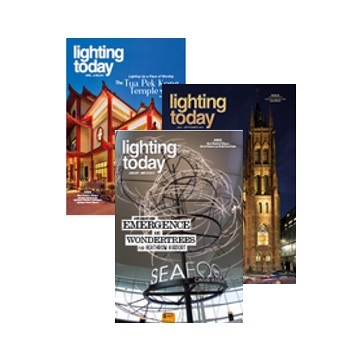 Published since 2002, Lighting Today currently has a global audience of over 47,000 readers. With a wide array of lighting projects, news, products and events featured in every issue, Lighting Today aims to provide readers with the latest developments in the fast-moving world of architectural lighting.